GENEVA, Switzerland, November 5, 2013/African Press Organization (APO)/ -- According to IOM's latest Displacement Tracking Matrix (DTM) report published by IOM Mali, 45,526 households (283,726 individuals) are still internally displaced as consequence of the 2012 crisis in the country's north. This means the number of the internally displaced people (IDPs) in Mali has decreased by 50,824 from 334,550 reported by the DTM three months ago. In addition to Bamako, other southern regions continue to host smaller numbers of IDPs: Mopti (29, 722), Ségou (24,442), Koulikoro (23,500), Sikasso (7,257) and Kayes (2,111). The vast majority of IDPs registered in the southern regions come from Tombouctou (49%) and Gao (38%) - the regions most affected by the crisis in the north. The data show that the decrease is due to people returning home. This was observed during verification exercises carried out in the field by IOM, in coordination with the General Directorate for Civil Protection (DGPC) and the National Directorate for Social Development. In order to better understand the IDP's return intentions, IOM recently conducted a return intention survey in the southern regions of Ségou, Koulikoro and Bamako. Out of the total of 1,486 households surveyed, 84% said that they were willing to return to their places of origin. The return trend has also been confirmed by data collected at flow monitoring points (FMPs) established in January this year at the main crossroads of Bamako, Mopti, Gao and Tombouctou cities. The FMP data shows that more individuals are traveling north than south. Between January and September this year, 78,012 IDPs travelled from the south to the north, while 39,309 travelled from the north to the south. The improvement of security conditions in the north is the main reason for return, according to 78% of the households surveyed in the FMP. Additionally, most of the returning IDPs said that they needed financial support (47%), and food assistance (33%), according to the report. 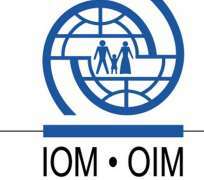 The forthcoming results of the needs assessment carried out by IOM in coordination with the government and local NGOs will provide a clearer understanding of the needs of the displaced population, returnees (IDPs and refugees) and host communities in the northern regions of Mali.